Made for children; coveted by adults! Jacket adorned with the art of famed children's book illustrator, Leo Leonni. The first ever vinyl reissue of an extraordinarily-unique space-age educational LP. Includes the oft-covered "A Shooting Star Is Not A Star" and "Why Does The Sun Shine?" Featuring Leo Leonni cover art and taken from the original atomic-era 1959 master tapes. Written by Hy Zaret and sung by Tom Glazer & Dottie Evans. Zaret (co-author of "Unchained Melody") turned his attention to educational children's music in the late 1950s, collaborating with Lou Singer on a six-album series called "Ballads for the Age of Science." Space Songs stands alone as the most essential volume in a series that also featured songs about energy and motion, experiments, weather, and nature. 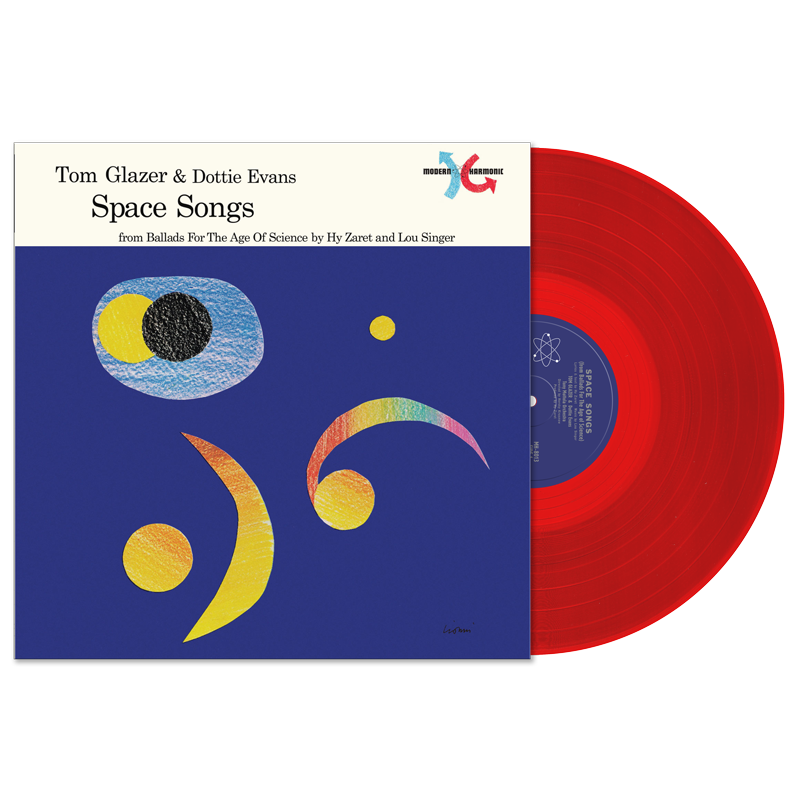 Space Songs contains "Why Does the Sun Shine" (aka "The Sun Is a Mass of Incandescent Gas") and "A Shooting Star Is Not a Star" which were more recently popularized by They Might Be Giants. "...delightful and instructive. As a science teacher, I see in these records a most potent force for improving the science literacy of our nation."